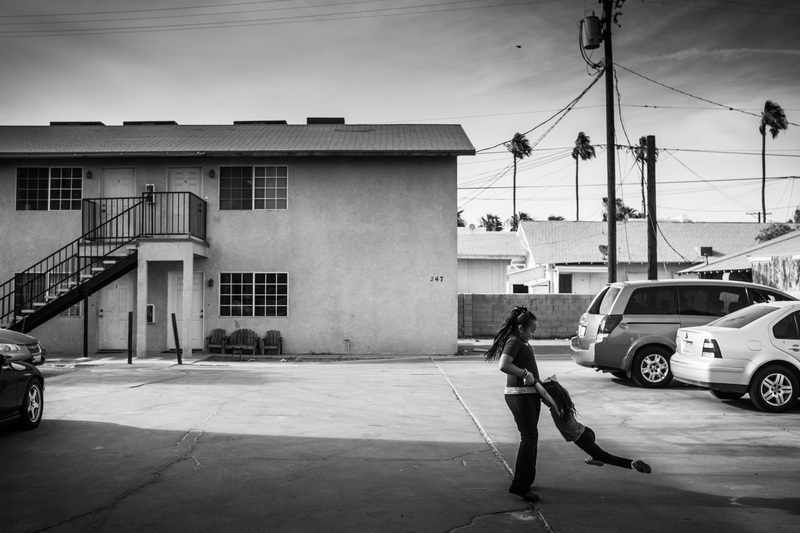 Paulina“Pau” Cosgalla (L), age 9, plays with her sister, Luciana “Lucy” Cosgalla, age 4, in the parking lot of their apartment complex on June 2, 2014 in Calexico, CA. Martha Romo, age 56, the grandmother of Paulina and Luciana, was born with only one kidney, which has since begun to fail, causing Romo to undergo dialysis since August, 2013. Romo's daughter and the mother of Paulina and Luciana, Martha Cosgalla, age 31, has decided to donate one of her healthy kidneys to her mother.